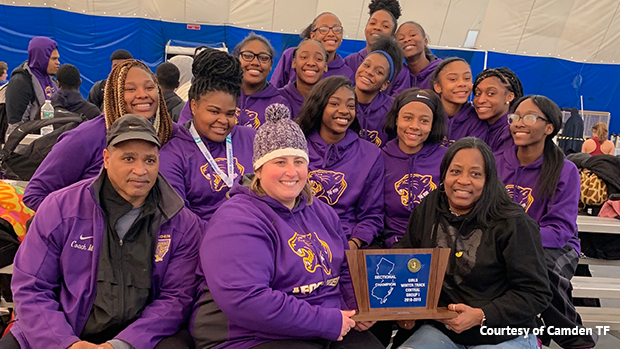 The Willingboro boys won its fifth straight sectional title and the Camden girls ended a 10 year title drought at Saturday's NJSIAA Central Jersey, Group 1 Championships at the Bennett Center in Toms River. 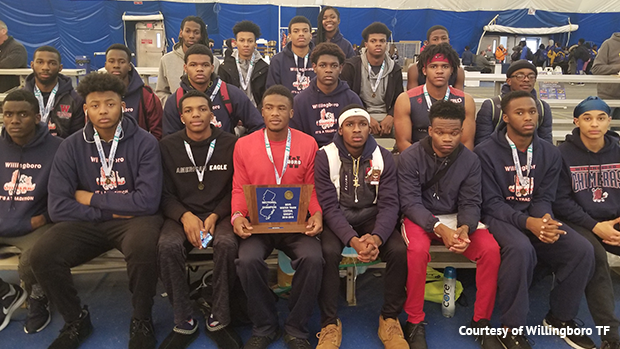 Willingboro, which defeated runner-up New Providence by 22 points, has now won seven sectional titles since indoor sectional championships began in 2008, which is tied with Morris Hills for the second most in state history. Only Rahway, which has captured eight, has won more sectional titles than Willingboro. Willingboro had a big day in the field. Kameron Smith and Nate Robertson each went over 6-0 to finish 1-2 in the high jump. Deonte Allen (42-5 3/4) and Emmanuel Lewis (42-0) and Nyle Thompson (40-10) finished 3-4-5 in the shot, and Jason Dingle (12-0) and Dontavis Wilson (10-6) placed second and third in the pole vault. On the track, Zaire Clement was fifth in the dash in 6.86, Kevin Peterson was fourth in the hurdles, Jayaire King won the 400 and was third in the hurdles, and Willingboro's 4x400 was fourth. Te'seanna Harris led a 1-2-3 finish for Camden in the dash and also won the hurdles. Jakara Nock and Braniya Mansfield added 3-4 finish for Camden in the 400, and Camden grabbed third in the relay. Camden also picked up field event points from Makiyah Watson (31-4 3/4) and Jahmara Smith (31-0), who went 3-4 in the shot put.